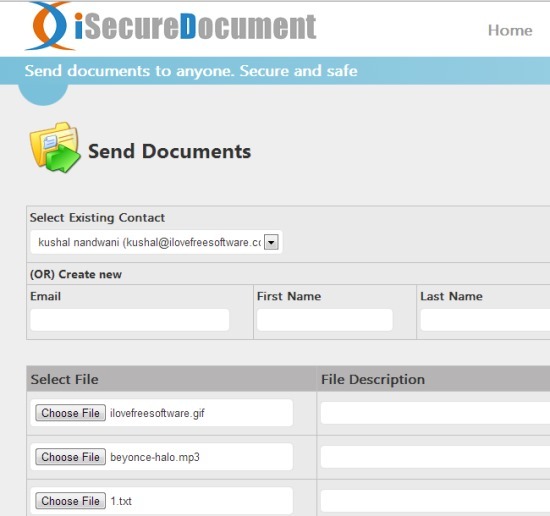 iSecureDocument is a handy online service that helps to send documents securely to people. It establishes a secure and encrypted channel between the server and sender. Before saving files to server (or system), the data is encrypted, and only the receiver will be able to get the original documents. Thus, its a useful service to send confidential files, like bank statements, tax papers, etc. in a more secure way. Emailing an important file could be dangerous as data is not encrypted and hackers can steal your private documents. In those cases, iSecureDocument comes in handy. You will be able to send as well as receive documents by creating a free account (either for business purpose or as individual) on iSecureDocument. iSecureDocument is also helpful to request documents. That means, you can ask the second person to send documents needed by you. Similar software: TitanFile and DirecTransFile. A useful service that allows to send and receive documents securely. An encrypted channel is established between sender and iSecureDocument server. The level of encryption is same, as used by government, banks, mentioned in website. Files sent by you are not saved in original format. Before saving them to server, files are encrypted. And when receiver wants to download the files, it decrypts them automatically to original format. Thus, privacy remains to sender and receiver only. Files are stored for maximum 7 days. 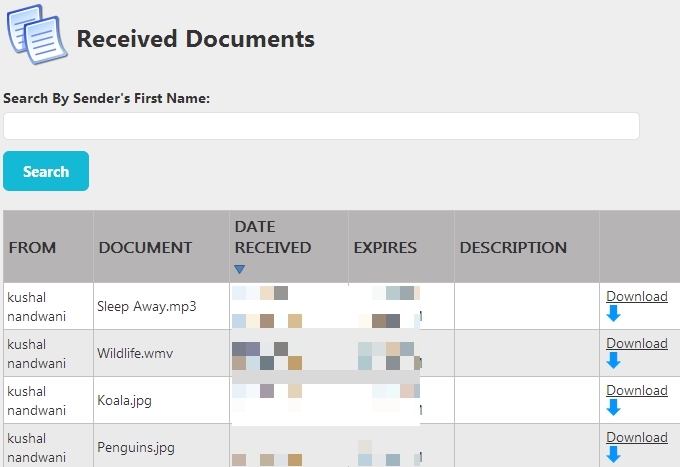 Once the expiration period is over, documents are deleted automatically. Search option is available to search for received documents sent by a particular person. Simply enter any particular user’s first name and all received documents will be filtered immediately. Any kind of document, like text file, an image file, music file, etc. can be sent easily. It is very easy to use and available free for a limited time. It might be possible that some features would become paid after some time. How To Send Documents Securely With iSecureDocument? Go to the homepage of iSecureDocument and sign up for a new and free account. You can either register for business purpose or can sign up as an individual. Provide your first name, last name, email id, password, and phone number. All these details are mandatory to create account with this document sharing service. Sender and receiver must have an account on iSecureDocument to share files. After creating an account with iSecureDocument, there will be four options available that you can use. These are: Send Documents, Received Documents, Request Documents, and Received Documents. Send Documents: Using this option, you will be able to send three documents at a time to existing user (to whom you have already sent documents before) or to a new user. To send documents to a new user, you need to provide user’s email address, first, and last name. After this, use Choose file button to add document that you want to send. 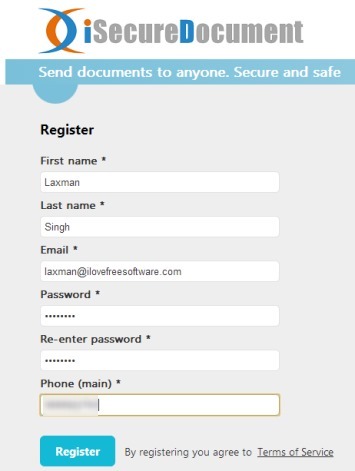 If you will send documents to a user who doesn’t have an account on iSecureDocument, then he/she will receive an email to create account on iSecureDocument to receive documents. Received Documents: By accessing this option, you will find all the documents sent to you by people. You can tap on Download option to download a particular received file. Request Documents: This option will be helpful if you want some documents from a particular person. You can send him/her a message that you need some documents and receiver will be able to send those documents. Received Requests: Here, all the requests sent by people will be available to you. 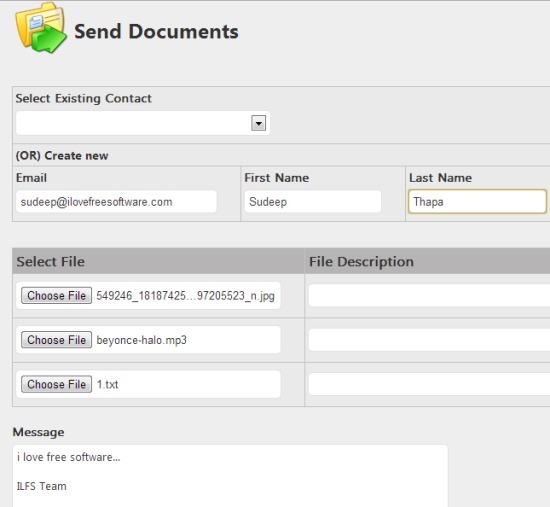 You can open each request and can send requested documents to individual person(s). iSecureDocument is really a needed service if you have to send documents securely. Privacy is the major advantage of this free online service as only sender and receiver is able to view the documents in original format.